With time, mostly, we get used to what is happening with us and accept the fact that it will heal over a period of time, we also start assuming that whatever is happening with us is happening for the good. We have been made to believe in these theories since the early childhood and the consequences of not pursuing the ideology keeps on haunting us. Can we come out of this closet of traditionally old beliefs or can we question the existence of such beliefs, the logic behind them, their origin and their application? Knowing is believing or following is believing, if the question is for you, what would the answer be? 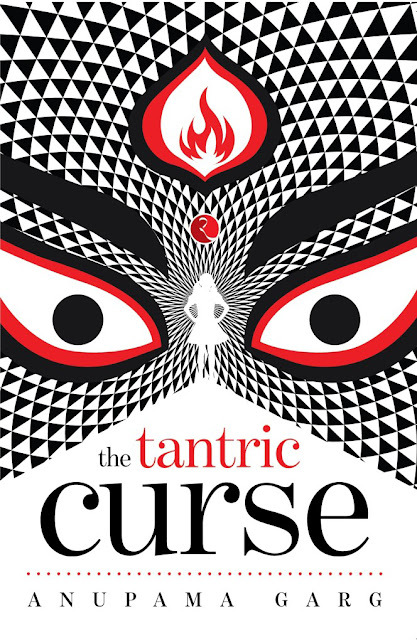 I recently read The Tantric Curse, a book by author Anupama Garg. The book is about the Tantra Vidya and it's authentic application and usage, yes the authentic way in which it was meant to be adopted, functioned and presented. The book is an attempt to unearth some realities leaving the misconceptions behind and burst the myths related to the age old Tantra Vidya, it also talks about how the Tantra Vidya is being maligned by fake sadhaks resulting only in the increased hatred rather fear towards the Tantra Vidya with the trust level reaching the nadir. Tantra Vidya is only being seen in poor light, viewed wrongly and is in a dreadful state, the book is an attempt at bringing the Tantra Vidya to life again, the way it was promised, with justifications clearing the popular misconceptions of it being some sort black magic that is used to cause more harm than good to anyone and the prominence that it deserves with promise. The cover of the book is visually hypnotic, you will get hooked on to the book right from the moment you see it. The story of the book The Tantric Curse revolves around Rheea, a girl who loses her family very early in her life and Baba comes to her rescue, allowing her to stay with them in Shaktidham, the place where Tantra Vidya is being practiced and imbibed in the purest form. She not only stays there, she makes it her home and starts learning new things right. Despite being a girl, she isn't restricted from her schooling or learning the nuances of a life of a probable sadhak. From mediation to shooting, from self control to self discovery she learns almost everything and even masters them. Rheea is blessed with some potent powers, Baba recognizes them and starts training her which in turn improve her skills. Rheea grows up to be an intelligent, considerate and a fearless woman who also takes over the throne to lead and continue Baba's lineage. The story is not only about the Tantric Vidya but the story revolves around love, affection and friendship which makes you believe in the story. More for you in the book. Overall, the book is a great attempt at conveying the truth, possibilities, dedication and the art that the Tantra Vidya is. The way it has been told is interesting and you don't relate to the characters much and it's for a reason, if you could relate to the characters you wouldn't find the narration captivating enough. The book also focuses on how creation, preservation and destruction go hand in hand and are interrelated. Other than being a good story, it also offered me some insights on the life of the Tantrics or the Sadhaks, the clarifications that I always needed on why does one fear the Tantrics, well there is no need to. Reading the book The Tantric Curse, I also understood the correct way to pronounce OM (ॐ) the correct way, the reasons and benefits of doing so. The book was like a perennial river that flowed with information and some great narration. There is purity in the story. According to me, the book is for almost everyone, no matter if you are interested in occult sciences like Tantra Vidya or not and should be read by anyone who is interested in reading something that involves fiction, mythology or occult science. The book looks very interesting! Just ordered a copy, thank you for the review. Thank you! Glad that you liked the review. 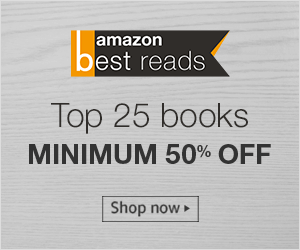 Do share your thoughts about the book over here, when you are done reading. Nice review, your every review makes me read the books that you write about.